ABC Television. 1968. Producers: John Sparkes, John Mabey. Theme: Tony Ansell, Peter Wall. 45(b) (OP) ABC. K-9435. 1984. 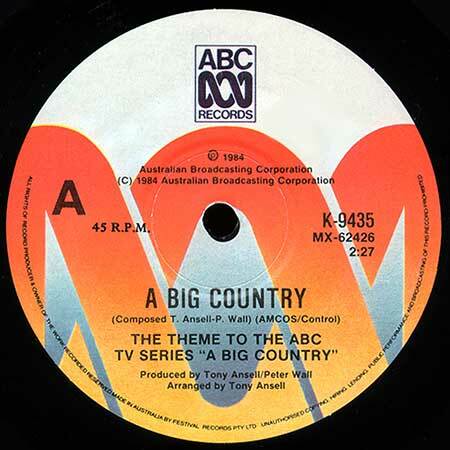 Produced by Tony Ansell, Peter Wall. Arranged by Tony Ansell. "A Big Country". (2:27). (T. Ansell - P. Wall). (AMCOS/Control). ABC Orchestra.